As we were raised by two atheists, formal religious education in our family was meager. I recall a few visits to various churches (to appease grandparents, most likely) and a few months of Sundays with the Unitarians – my chief memories of which entail singing Die Gedanken Sind Frei and gobbling donuts following every service. ART was our sole family religion – that is, until the appearance of the family bible, AKA “The Beecher Book”. 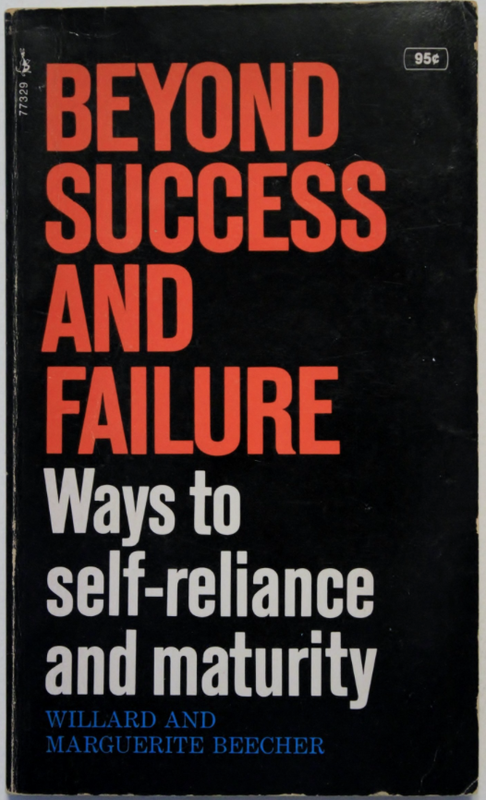 My father originally came upon this book in 1969 and was so impressed that he got a copy for each of us children AND my mother, who was in the process of divorcing him. My dad totally bought into the book, which encourages taking responsibility for one’s own thoughts, words and actions. 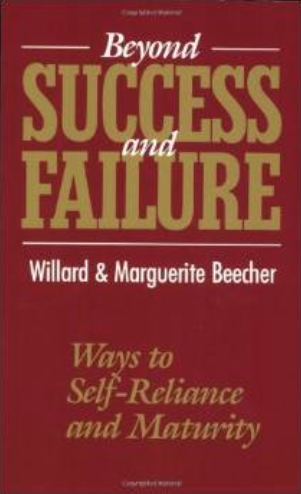 The Beechers’ exhortations to “put no one’s head above your own” and “live life on the grazing principle” were apparently comforting to my father, and we were expected to pretty much memorize the Adlerian psychology that inspired their writings. “Celebrate Victory: Celebrating victory is something that is pretty straight forward and it’s not something you need much advice for. But, one thing we sometimes forget to do is celebrate the smallest success.. Celebrate Defeat: There is a certain scene in the movie The School of Life… As a junior high basketball team is losing, the main character encourages the team to cheer and be happy even as they are getting their as@#$$# kicked. Then something interesting happens. The team actually starts winning. I realized yesterday that what causes this is the mind set of celebrating. Like attracts like and if you come from the mind set of celebrating, eventually you’ll have plenty to celebrate about. Celebrate Success: Success is something that should be celebrated even when it occurs in small doses. This blog is an attempt to make sense of the myriad adventures – including failures – in my life – and to somehow do justice to the family bible after all these years.